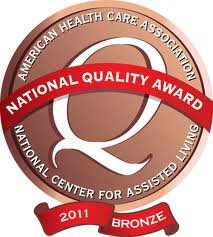 Find us listed in U.S. News and World Report’s Best Nursing Homes in America for 2015, 2014 and 2013. Congratulations to Garnet McMillan! 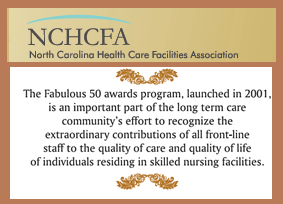 Not only was she a District 1 Award recipient but she was also named 2014 Nurse Aide of the Year for District 1. 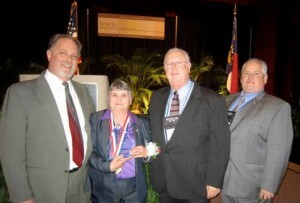 Garnet was honored at the State Convention for being the best of the best. Phillip Hill, LNHA, RVP-Director of Operations-Principle Long Term Care, Inc.
Glenn Potter, LNHA, Vice President of Human Resources-Principle Long Term Care, Inc.
Richard J. Brady, LNHA, LHRM-RAC-CT-Administrator Macon Valley Nursing and Rehabilitation Center. 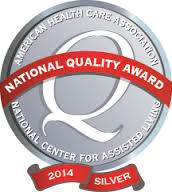 We have been a 4 Star rated facility since 2012 and we have had deficiency free surveys in 2009, 2010, 2012 and 2013.